As we approach the spring breeding season, many producers are already in the midst of either planning or preparing for their 2019 fall lamb crop. Outlined by a previous article here on the webpage, Breeding for Out-of-season Lambs to Fill in the Industry Gaps, fall lambing has several benefits including an increased premium due to the short supply of new born lambs during the fall. However, the production of fall lambs can be challenging as sheep do not commonly breed out-of-season. Sheep are known as short day breeders, meaning that their natural breeding period occurs in the fall with shorter days. Some breeds of sheep (i.e. Dorset and Polypay – to name a few) are known as seasonal breeders, meaning they do not have a set breeding season. Therefore, these breeds of sheep are able to breed outside of the fall breeding period and would be beneficial in fall lambing flock. However, what if you were interested in producing fall lambs from other traditional breeds that do not breed out of season naturally? This question can be answered by this weeks Ag-note provided by OSU undergraduate students Autumn Converse, Caitlyn Deeter, Taylor Klass, and Jaime Uren. Two management practices to manage estrus induction in sheep for out-of-season breeding are CIDR use and light management. 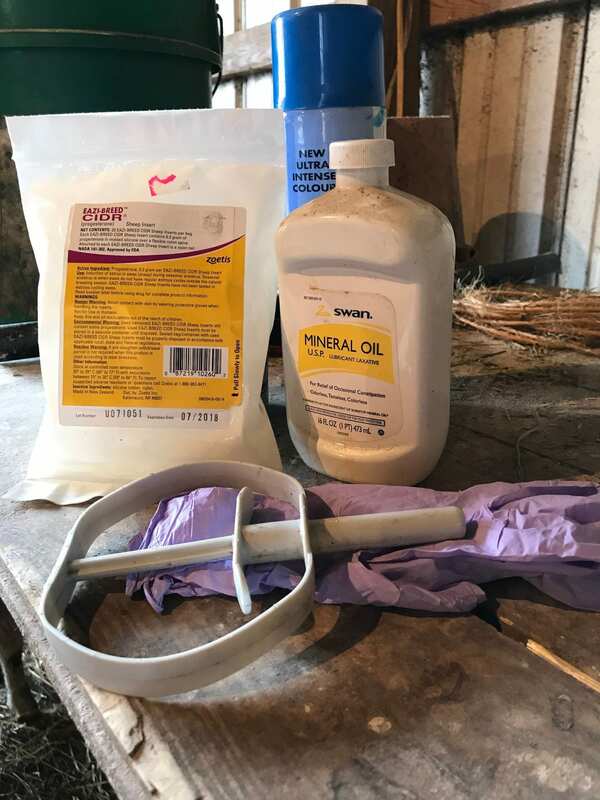 Both of these tools, either separately or in conjunction with one another, can be successfully used to produce fall lambs. CIDR’s (Controlled Internal Drug Release) are progesterone implants that are inserted intra-vaginally and slowly release progesterone. An increase in progesterone concentration in the ewes system will result in the suppression of estrus. Once in place, CIDR’s will remain in the ewe for a set period of time (~9-14 days) followed by additional hormone therapy (optional, but may be necessary in seasonal sheep breeds). We do encourage you to work with your local veterinarian to develop the most appropriate CIDR use protocol for your operation. Upon CIDR removal, ewes should display estrus within 3 days. Please note that time to estrus and intensity of estrus will vary based upon breed. Some of the key benefits to using CIDR’s include their low cost and ease of use. At approximately $7.00 per CIDR, this management tool serves as a relatively inexpensive way to manage the estrus cycle in sheep. From a labor standpoint, ewes only have to be handled twice – once when the CIDR is inserted and again when it is removed. Therefore, this process requires minimal time and labor inputs, especially if you have a working chute system that you can process animals through. However, there are some downsides to this technique. Using CIDR’s is a time sensitive process. Be sure to have all supplies on hand and rams ready when the CIDR’s are pulled. 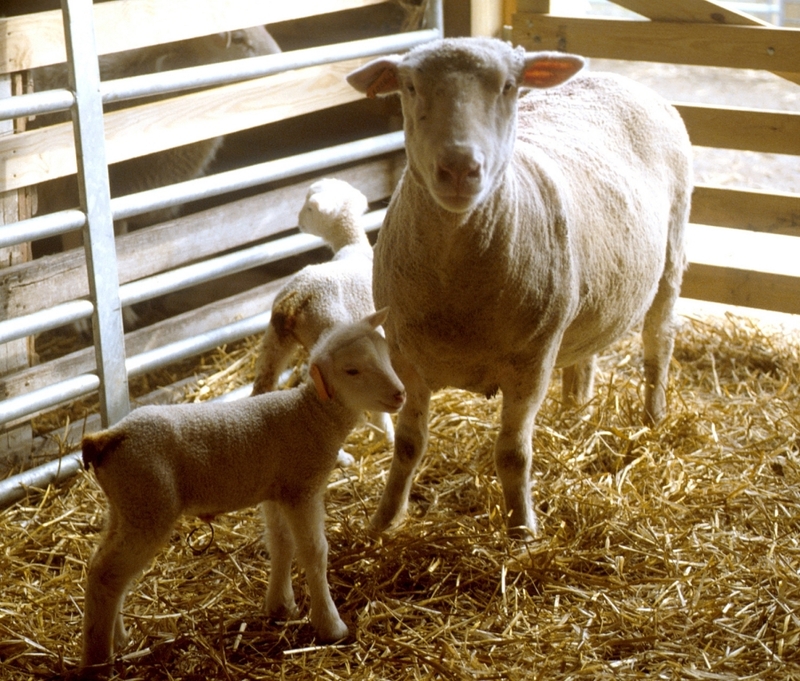 CIDR success varies in maiden ewes; therefore, it is recommended to use CIDR’s in ewes that have previously lambed. If you are not interested in using CIDR’s as a management tool, there are other options as well. As discussed previously, sheep are short breeders. Using a light management strategy that limits the amount of light that sheep are exposed to during spring can also help induce a fertile estrus. In general, melatonin is the main hormone released from the brain that controls seasonal breeding in sheep and other mammals. Melatonin is negatively effected by daylight. Therefore, as day length in the fall decreases, there is an increase in darkness and an increase in melatonin secretion which results in the initiation of the fall season breeding window. In order for this to happen during the spring, producers must trick the ewes brain by managing the amount of light their ewes are exposed to on a daily basis. Beginning in the late winter or early spring, expose your ewes to 16 hours of light per day for approximately 8-12 weeks. During this period, artificial light is required. After the initial 8-12 weeks, reduce light exposure to 8 hours of light per day for an additional 6-8 weeks. This second period of reduced light exposure will act as the transition between summer and fall. During this lighting treatment phases, be sure to keep the barn closed, darken the window, and cover all cracks. With this being said, it is encouraged that chores be completed during the light period. Allowing pieces of natural light during this time period will negatively affect this management strategy. After the second 6-8 week period, ewes should begin to start cycling. It is important to note that unlike the CIDR protocol, light management is beneficial for both males and females. Housing males in this same type of system will also aid in allowing for seasonal breeding rams to become more fertile for breeding. As we noted for CIDR’s, there are advantages and disadvantages to using light management. One of the greatest benefits to this system is that most sheep and goat breeds are receptive and responsive to light management. Light management does not negatively effect the fertility of ewes or rams. This system also requires minimal handling of the animals and does not require any type of additional hormone therapy. However, there are some great disadvantages as well. As outlined above, it is recommend that you control the lighting phase for up to 20 weeks. This becomes very expensive in terms of electrical costs. This type of management system requires animals to be kept in confinement. This results in a decrease in pasture utilization as well as an increase in feed costs. Overall, these two management systems are quite effective in managing the reproductive cycling in small ruminants. However, in both systems there is an increase in in production costs associated with both. CIDR management in this case may serve as the most practical and effective method for out-of-season breeding. On the other hand, unless you already have the facilities and feedstuffs to do so, light management may be the least practical as it requires more up front costs. Posted by Braden Campbell at 8:00am February 20, 2019 Posted in Ag-note and tagged Reproduction. Bookmark the permalink.